M & M Towing is headquartered in Woodburn, Oregon. 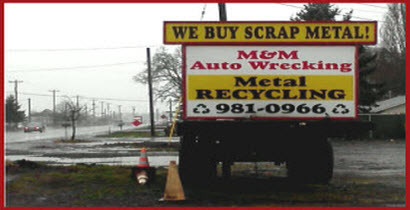 Our Recycling Center, Wrecking Yard and Nationwide Automobile Parts team. are just down the road a couple of miles. Should you find yourself needing to recover your car from us, M & M Storage Lots are up and down the I-5 corridor for your convenience. We offer 24/7 tow services throughout the state of Oregon and our Nationwide Online Parts Service is available on our Website 24 hours a day as well.. We monitor parts requests daily, and will respond promptly. However, if you prefer, or you need help, come on in to our Parts Office. We are here Monday through Friday from 8am to 5pm and Saturday from 10am to 3:00pm. taking the vehicle, a list of prices they charge for towing services, and acceptable payment methods. truck arrives confirm the license plate number begins 'TW". 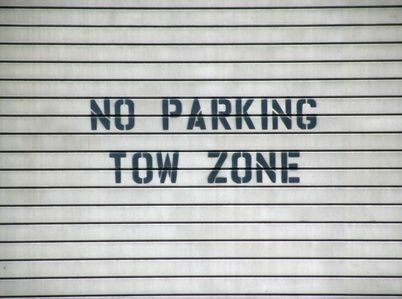 This will help confirm you are being assisted by a licensed, bonded, and certified Oregon tow truck driver.